How to Care For Someone Going Through Withdrawal? What is Cocaine ? Are There Withdrawals from Cocaine Use? 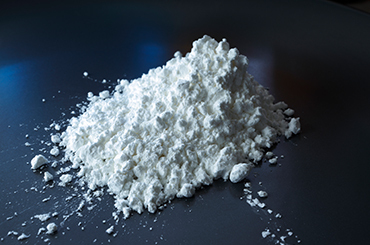 Cocaine, a central nervous system (CNS) stimulant, is a well-known, widely abused illicit drug. It is either inhaled or injected into the veins. Cocaine is a very potent drug that causes addiction, tolerance, dependence, and withdrawal symptoms upon cessation rather quickly. Withdrawal is one of the most debilitating effects of cocaine use. In order to experience withdrawal symptoms, a user does not have to completely stop using cocaine; reducing cocaine administration from baseline levels is often enough to precipitate withdrawal symptoms. After prolonged cocaine abuse, dependence and tolerance develop. The user requires increasingly higher doses of cocaine to achieve the same effects. Unfortunately, one of the serious consequences of increasing doses is the increased severity of withdrawal symptoms should the user reduce their cocaine use. Cocaine is a triple reuptake inhibitor (TRI) - it inhibits the reuptake of serotonin, norepinephrine, and dopamine. All of these neurotransmitters have multiple crucial roles in the brain, and their chemistry is altered with chronic cocaine use to a new stable baseline of activity. When that cocaine intake is abruptly decreased or stopped, these neurotransmitter systems are in sudden states of dysfunction and cause physiological and psychological withdrawal symptoms. The strong link between depression and cocaine withdrawal stems from cocaine's effects on neurotransmitters in the brain; depression is caused by dysregulation of these neurotransmitters, which is accomplished by chronic cocaine use. If you need help understanding the effects of cocaine abuse or want general advice about cocaine withdrawal treatment options available for you, please call our 24/7 hotline at 1-888-993-3112Who Answers?today. The initial "crash" is the most discerning symptom that accompanies cocaine withdrawal, setting it apart from withdrawal from other substances of abuse. Nausea and vomiting are also possible, though not overly common. Cocaine withdrawal is known for its psychological symptoms (those that cannot be seen by bystanders), and these symptoms are often debilitating for the duration of withdrawal, which can last weeks to months. In some users, feelings of intense craving may manifest in times of stress, even after years of abstinence from cocaine. Cocaine withdrawal symptoms range in severity depending upon the level of dependence that was achieved by the user prior to cessation or dose reduction. The severity of the cocaine addiction is linearly related to the severity of withdrawal symptoms--the more severe the addiction, the worse the withdrawal symptoms. Long-term, heavy cocaine use is correlated with severe withdrawal symptoms that may last for months after stopping cocaine use. If you are concerned about your cocaine use (or that of a loved one), please call one of our treatment support specialists at 1-888-993-3112Who Answers? to discuss how to avoid enduring an unpleasant withdrawal syndrome. Cocaine withdrawal is not as imminently life-threatening as alcohol withdrawal; however, withdrawal from cocaine is a serious medical situation and should be monitored closely. Physicians may be able to provide medications that alleviate some of the symptoms associated with cocaine withdrawal, but this should be monitored closely. The goal of withdrawal treatment is not to shift the addiction to another substance of abuse, such as alcohol, benzodiazepines, or sleeping aids. Poly-drug abuse and withdrawal involving cocaine may require more intense medical management due to the effects of combining some of these drugs. For example, combining cocaine with alcohol, and stopping both simultaneously, could be very dangerous for the user by precipitating seizures or delirium tremens. Another facet of withdrawal treatment is identifying and treating underlying mental health conditions.Dealing with mental health problems greatly reduces the risk of relapse following cocaine withdrawal and cessation. As for cocaine withdrawal treatment, both inpatient and outpatient options are available. 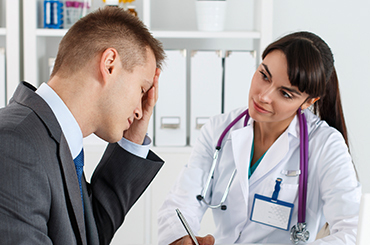 Despite which option is chosen, withdrawal should always be monitored by a health care professional to ensure that any adverse reactions are dealt with in a timely fashion. Inpatient cocaine treatment involves a highly monitored detoxification process, providing medications as needed to alleviate symptoms of cocaine withdrawal. Inpatient treatment is often recommended for patients with poly-substance abuse or co-occurring medical conditions that may complicate withdrawal. Outpatient treatment programs may be more practical and cost-inclusive than inpatient options, but can still provide similar outcomes. Detoxification is still monitored by health care professionals, and medications are prescribed as needed for severe withdrawal symptoms. Adjunct treatment to both inpatient and outpatient options must include psychological treatment to address the underlying addiction issues and other mental health conditions if applicable. Some recommended options include cognitive behavioral therapy, 12-step group therapy, and contingency management. For more information on cocaine withdrawal treatment and rehabilitation options, please call 1-888-993-3112Who Answers? to speak to a trained treatment support specialist today. Withdrawing from cocaine is very unpleasant psychologically, and may be very difficult to deal with for the user. In order to successfully detox, users must remove themselves from environments and situations that remind them of cocaine use, which may involve leaving the home during withdrawal and treatment. Try to respect your loved one's space while they are going through withdrawal, but be supportive and empathetic as well. Helping drive your loved one to doctor's appointments or therapy sessions is often appreciated, and allows you to spend some quality time with him during a time of need. Physically, ensuring your loved one gets enough fluids to avoid dehydration and takes medications appropriately is very important in reducing withdrawal symptoms and/or avoiding complications brought about by letting medical conditions get out of hand during withdrawal. Support, love and guidance through the withdrawal process are important to recovery. Sofuoglu, M., Dudish-Poulsen, S., Poling, J., Mooney, M., & Hatsukami, D. K. (2005). The effect of individual cocaine withdrawal symptoms on outcomes in cocaine users. Addictive Behaviors, 30(6), pp. 1125-1134.